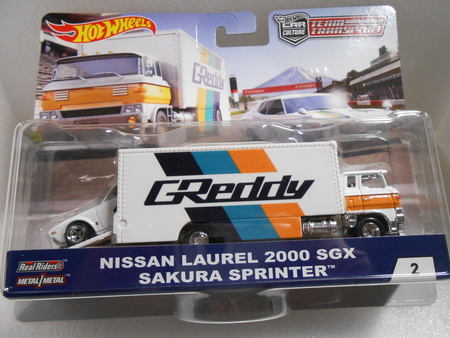 Description: Hot wheels team transport Nissan Laurel 2000 SGX Sakura Sprinter. Mint in package with tracking in the U.S. Pay pal or money order. Payment is due within three days of closing this listing. Thank you and good luck. Payment/Shipping Policy: Payment/Shipping Policy: Done according to weight. We use first class or Priority. We do combine shipping cost.Payment: Due within three days of closing the listing.